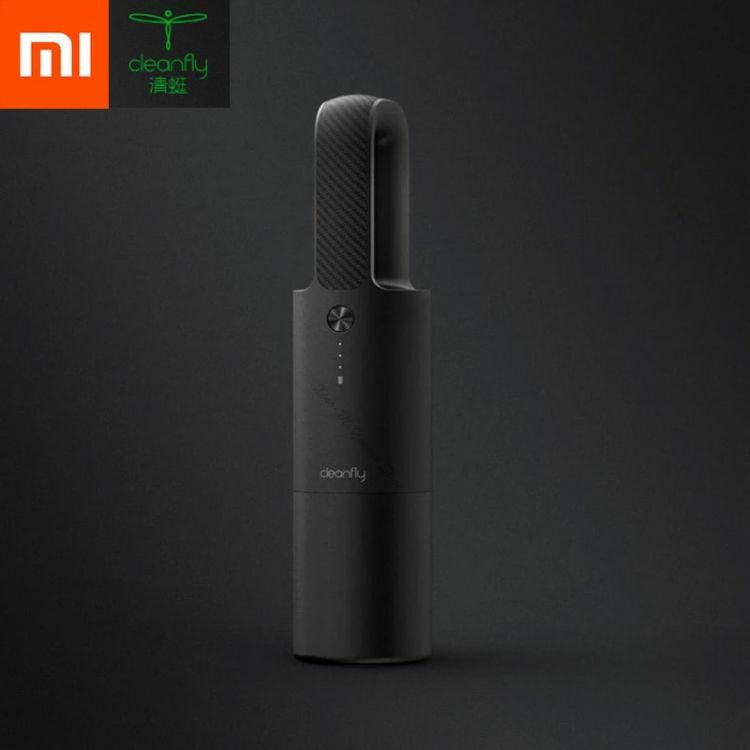 Xiaomi Cleanfly car portable vacuum cleaner is small and portable, handheld wireless, ready to use, more than 60% smaller than the traditional car vacuum cleaner, so it can be stored in any corner of the car, the center console storage box, water tank, door pocket and other positions. Fully charged up to 5000Pa, maximum speed 32000rpm, using 2 2000mAh high performance power batteries. With 12V/2A fast charging technology, it takes about 1.5 hours to fully charge and 4 times to fully clean the vehicle. HEPA purification, double filtration system. The LED lamp is illuminated at a large angle, and it is easy to cope with the situation of insufficient light and complicated environment to ensure the bright and clear fiber in the cleaning area. The telescopic two-in-one nozzle design switches between different states in one second, and the flat mouth deeply cleans the small gap in the car, and the brush head cleans the stubborn dirt inside the car. The patented wind guide design avoids blowing the face and blowing the dust. It can also be used for cleaning at home, cleaning the bed, sofa, table top, keyboard and other surfaces. For home use, you need to purchase a dual-charged version with a home adapter.